An unrivalled range of composite doors with extensive colour and glass options. A premium-quality range of windows and doors for Passive House construction and low-energy building. Read the latest news about composite door and window products and trends from Composite Doors Yorkshire. 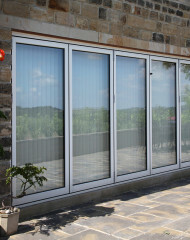 One of the most common misconceptions around patio doors is that they lack necessary security features. We take security very seriously, and investing in the best security features for all of our windows and doors is our top priority. With Spring finally upon us, we’re looking forward to making the most of our patio space during the sunnier weather. 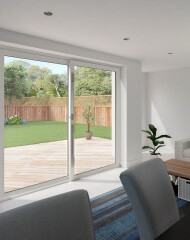 If you’re planning to install a new patio door and aren’t sure which style to choose, here are some of the benefits of choosing a new sliding door. 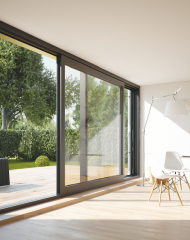 Composite Doors Yorkshire has added the latest innovation in sliding door products to its existing range - the PremiLine PRO from industry leaders Kommerling. Established in Huddersfield in 1997, we are a long standing family business specialising in the design, manufacture and installation of windows, doors and conservatories. Composite doors can provide the longevity of uPVC and the strength, solidity and warmth of natural wood.